Without a doubt, shortbread cookies are my all time favorite one each time I’d love a cup of black coffee. There’s a difference between biscuits and cookies that sometimes people think they resemble to each other. Biscuits are double – baked, such as biscotti of Italian. Thus, cookies can’t be stored (even in an airtight container) over a month if you still want the cookies retain its crisp. My recipe has a larger amount of butter than other shortbread cookies’ recipes to avoid the taste of overwhelming of flour. – Roll the dough into 1/4 inch thick and use the favorite shaped cutter to cut the dough. 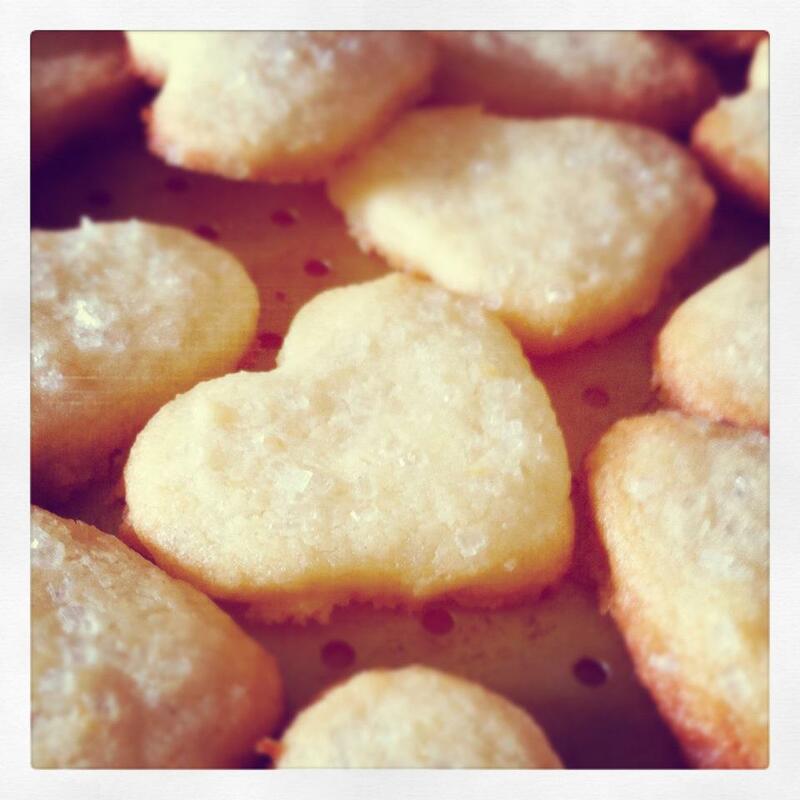 – Sprinkle the sparkling sugar onto the surface of the cookies. – Bake at 350 F for 10-15 minutes or until the cookies are slightly brown. This entry was posted in biscuit, dessert. Bookmark the permalink.